Professions represent an essential feature of modern societies by maintaining core societal values and engaging in problem-solving in areas such as health, law and education. However, during the last decades the appeal of professionalism, associated with autonomy, discretion and a privileged status, has diffused greatly in the field of service work. Professionalism now seems to be everywhere while the ‘classic professions’ such as medicine and the juridical profession are confronted with serious structural changes. As a research field, the sociology of professions opens up a perspective on work and social change across micro, meso and macro levels, looking for the nexus between knowledge and power in contemporary societies. The ESA Research Network Sociology of Professions (RN19) was founded in 1999 in a time when the pressure for structural changes in the classic professions became more obvious. With the rise of modern bureaucracies in the 20th century, these established professions have historically been quite resistant to social change. They have successfully defended their status as indispensable and therefore privileged occupations against the development of capitalism in Western industrial societies. However, by the turn of the millennium, neoliberal policies and the forces of economisation had reached professions, challenging and calling into question the notions of professional autonomy, expert authority and monopolised knowledge that professions were thought to possess. Instead of singing the chorus of “the end of professionalism”, the RN19 was established to develop a scientific community to analyse and debate the ongoing changes and development of professionalism in Europe. While the classic professions came under pressure, professionalism has gained attraction among a growing number of occupations in the area of knowledge work as a type of regulating work based on academic education, specialised knowledge, discretion and the values of collective self-regulation. These concerns were further emphasised by occupational groups which have oftentimes been measured by their lacking status with regard to the ideal of professional autonomy, such as social work and the caring professions or even journalism. Moreover, today so-called new professions, such as accountants, occupations within the creative industries, and IT specialists further add to the research in the field of sociology of professions. From this offset, the Research Network has evolved to assemble research regarding the regulation of work and public goods from and across different countries and manifold historical pathways. It strives to refine further the theoretical basis of sociology of professions and to develop analytical perspectives suitable for the study of contemporary issues concerning professions and professionalism. Obviously, networks are made by people and of people, and there are a number of passionate and engaged colleagues who have made RN19 to what it is today: a vital and vibrant, open-minded and stable scientific community. During the ESA conference 2017 in Athens the current board was elected with Christiane Schnell (Institute for Social Research at the Goethe-University of Frankfurt) as coordinator, Helena Hirvonen (University of Eastern Finland) as co-coordinator, Mirko Noordegraaf (Utrecht University School of Governance) and Roman Abramov (National Research University/Higher School of Economics, Moscow) as board members, and Taru Siekkinen (University of Jyväskylä) as the PhD student representative. To generate a continuous scientific discourse, the network maintains a tradition of interim meetings between the biennial ESA conferences. 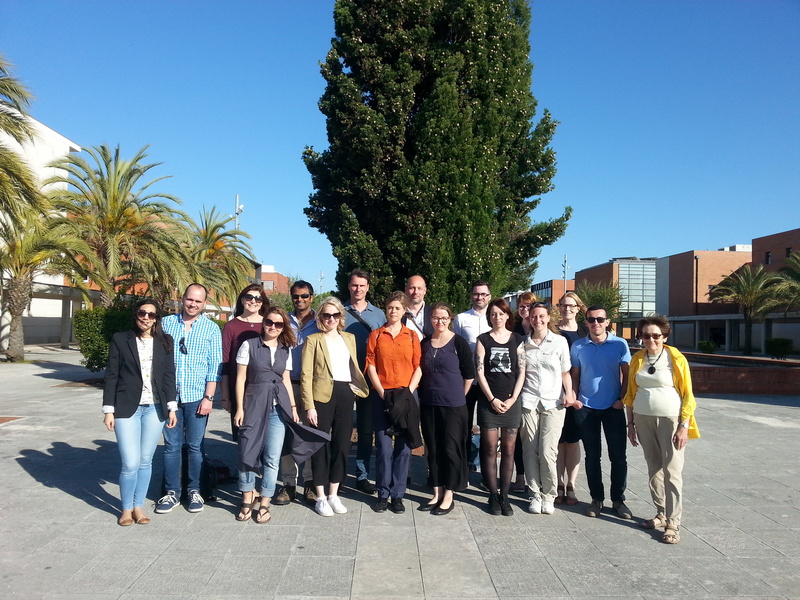 This year, for the first time in the network’s history, the interim meeting was organised as a PhD Summer School. The 2018 ESA RN19 Summer School was organised by the network’s former coordinator Teresa Carvalho in the University Aveiro, Portugal. As its teachers, it was honoured to have, among others, Julia Evetts, a founder of the RN19 and a scholar who has over the years contributed unprecedentedly to advancing both the theorisation and the lively, intellectual dialogue within the network and its field of research. Alongside its close links to other relevant international and national networks and sections in national sociological associations in Europe, the research network is closely connected to the Research Committee “Sociology of Professional Groups” (RC52) in the International Sociology Association (ISA). Besides numerous book volumes and edited collections produced by the network members, two journals in particular can be recommended for those interested in gaining a deeper insight into the theoretical and empirical work around professions, professionalism and the professionalisation of occupations. These are the journal Professions and Professionalism, an open access online journal established in 2011 by the Nordic network of researchers in the study of professions, and the journal Professions and Organizations published by Oxford University Press. In 2019, our network is looking forward to developing the existing viewpoints and discovering new perspectives on sociology of professions in the next ESA Conference ‘Boundaries, Barriers and Belonging’ to be held in Manchester (Aug. 20–23). We look forward to welcoming our present and new network members there! Meanwhile, you can also find the Research Network in social media, on Facebook and on Twitter @ESA_rn19; as well as on the ESA website in its own RN19 section.